I thought I knew what mountain biking was. In fact, if you asked me, I would have told you that I&apos;d been mountain biking. But that was before I moved to Salt Lake. That was before my eyes were opened to REAL mountain biking! Turns out riding your Huffy along the dirt back roads of small town Washington State, and poppin&apos; wheelies off of tree roots doesn&apos;t count as mountain biking . . . who would&apos;ve thought? For you unfortunate souls who have yet to visit Salt Lake, let me fill you in on one simple fact: mountain bikers flock to SLC like flies to . . . well, you get the idea. Why? Two words - Wasatch Mountains. From tall, gnarly peaks and ridges to low-lying wooded foothills, the Wasatch&apos;s terrain is as varied as the riders flocking to it. Lung bursting ascents? It&apos;s here. Fun, swooping double track? Check. Technical single track? You betcha. Breathtaking descents and scenery? Definitely! The Bobsled - Steep. Fast. Gnarly. Challenging. Epic. 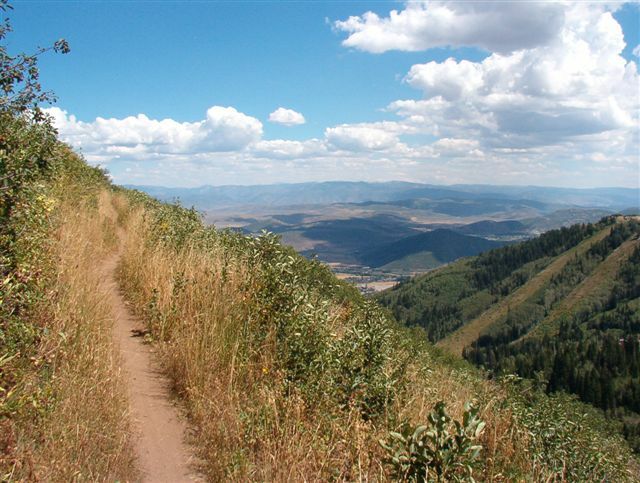 Not to mention one of the most famous trails in Salt Lake City. Drop into the creek bed that is home to this twisting, turning downhill trail, and you&apos;re in for the long haul. Over 1.6 miles you&apos;ll drop 1,000 vertical feet, flying up and around steep banked turns, through tight single track and over jumps. First-timer or beginner? Take your time and enjoy the ride. Experienced? Cut loose, keeping your eyes open for the unique features and big air opportunities. 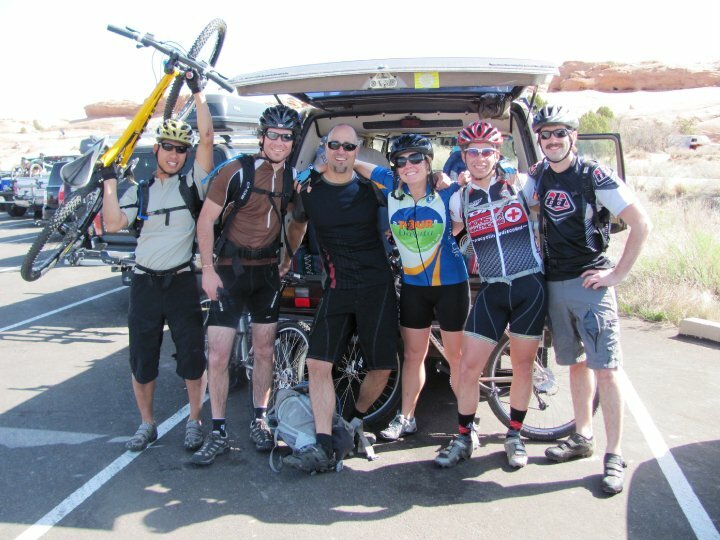 Clark&apos;s Trail - Located in Corner Canyon, Clark&apos;s Trail is perfect for intermediate riders, with the loop from the mouth of Corner Canyon to Traverse Ridge and back registering at just over 3 miles. After a short climb to the top of Traverse Ridge, you&apos;ll get to enjoy some awesome downhill. Looking for a longer ride? 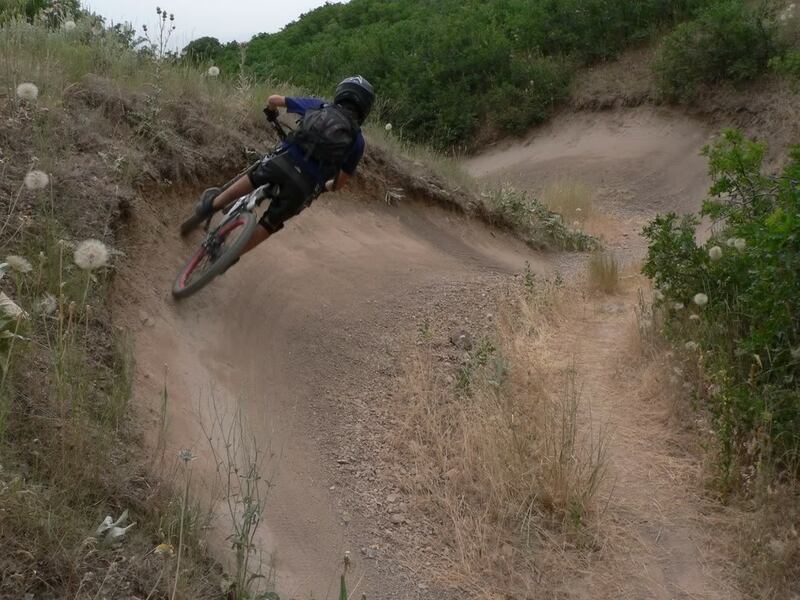 Hook into the Draper Race Loop, Clark&apos;s Ghost Loop or any of the other trails in Corner Canyon. Wasatch Crest Trail - By far the prettiest trail I&apos;ve ridden to this point. And that&apos;s saying something considering I rode it at night! The views from this trail are amazing, and I can only imagine how pretty the aspen groves and meadows look during the day. Not to mention great views of Big Cottonwood Canyon and Park City. We started in Millcreek Canyon, taking The Great Western Trail and hooking into the Wasatch Crest Trail for a couple of miles. Despite a tough climb, the swooping single track on the descent made it all worth while. What are you waiting for? Grab your bike and hit the trails! But know that once you start you won&apos;t want to stop. Check in at Two Feet to Adventure for more of my adventures.